Sunday – Buy 4 large 16 inch pizzas receive a large 16 inch cheese pizza free – Pick up only. 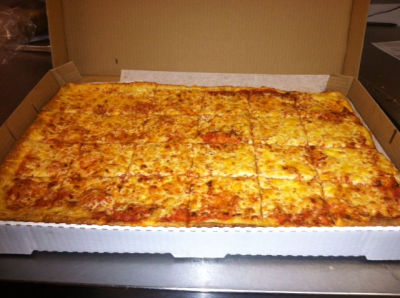 Monday – Large cheese pizza - $7.99 plus tax – Pick up only. The Monday special does not include any pizzas with toppings. 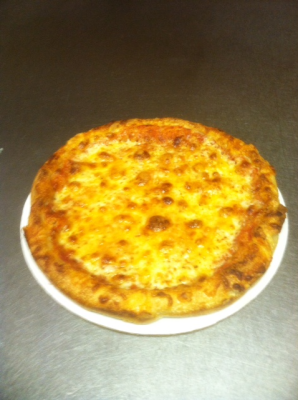 Tuesday – Small cheese pizza - $3.27 plus tax – Pick up only. Each additional topping is $1.00. 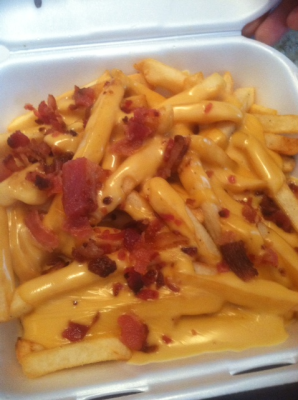 Extra cheese is $2.00. 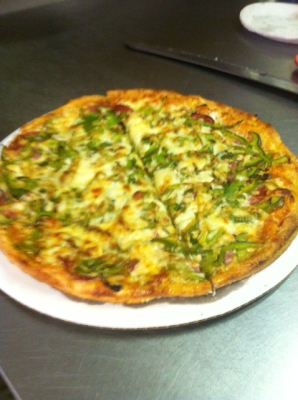 Specialty pizzas and gourmet pizzas (i.e., veggies, meat lovers, danvers special, etc.) are $1.00 off regular price! Wednesday – Two large cheese pizzas for $14.99 plus tax. Pick up only. The Wednesday Special does not include any pizzas with toppings.